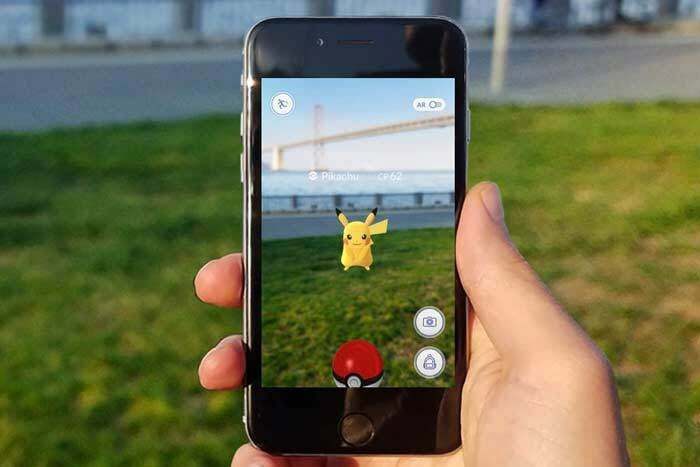 Pokémon Go may be the popular face of augmented reality (AR) apps—upon its debut last July, the game became an instant international obsession—but it was hardly the first AR effort. 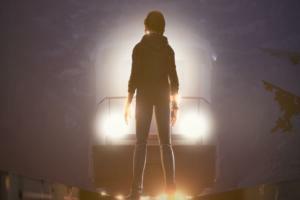 Augmented reality, which has been around the edges of popular consciousness for many years, is all about what you see and how and under what circumstances you see it. Unlike virtual reality (VR) where you are literally transported into another world, AR is still the real world, with an extra added something. AR iOS apps can use your camera and location data to capture or project virtual objects and information directly onto a smartphone or tablet display for entertainment, information, or even business uses. Of the many apps out there, here are nine of our current favorites, most of which are universal for iPhone and iPad. 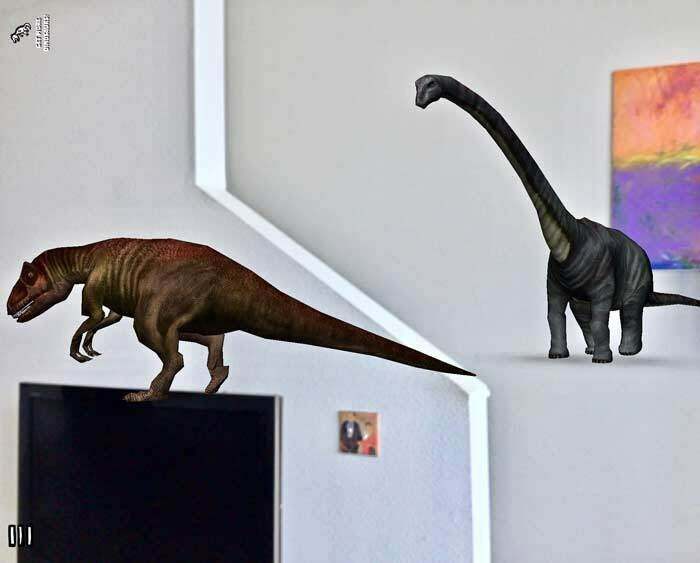 Ever wonder what it would feel like if Triceratops, Diplodocus, Spinosaurus, Allosaurus, Quetzalcoatlus, Compsognathus, Parasaurolophus, Stegosaurus, Velociraptor and Tyrannosaurus Rex still roamed the earth—or your living room? Dinosaurs Everywhere (free) puts these gigantic pre-historic beasts right next to you in real time and in life size, floating them around the room, walking on top of the TV, making fearsome dino noises, and even fighting each other on occasion (dinosaurs have feelings too, apparently). Just hold your iOS device as if you were taking a photo, observe what’s happening in the room, and keep your ears open. There’s no need for any special equipment, but if you have a Google Cardboard headset, you can use it to get a different view. The app starts off with five dino species; a paid upgrade gets you five more. Tap the screen to learn fun facts about your dino friends. If you’re traveling abroad, you need Google Translate (free) for its text translation of and between 103 languages. 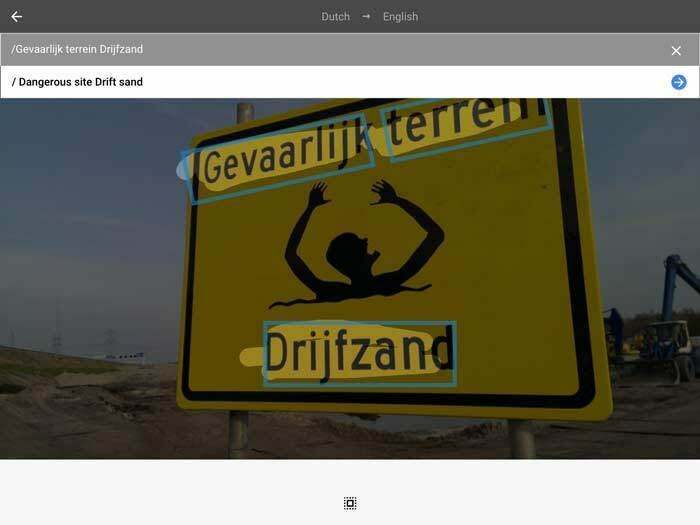 It reads type input, signs, menus, posters, and anything with text via the Google Neural Machine Translation system, designed to translate sentences in context as opposed to merely word for word. This artificial intelligence component helps the app deliver relevant, more conceptual translations, while at the same time offering a more human, grammatical delivery. Google plans to place all its translation languages into GNMT. Today, 52 languages can undergo translation without an internet connection; 30 languages can be translated via text by pointing your camera; 37 languages can be translated via the actual smartphone camera image. You can also use audio to translate bilingual conversations in 32 languages, draw text characters in 93 languages, and save translated words in all supported languages for future reference. If you’ve ever contemplated placing permanent ink on your body, you know it’s not for the faint of heart. Tattoos, unlike love or democracy, are forever. 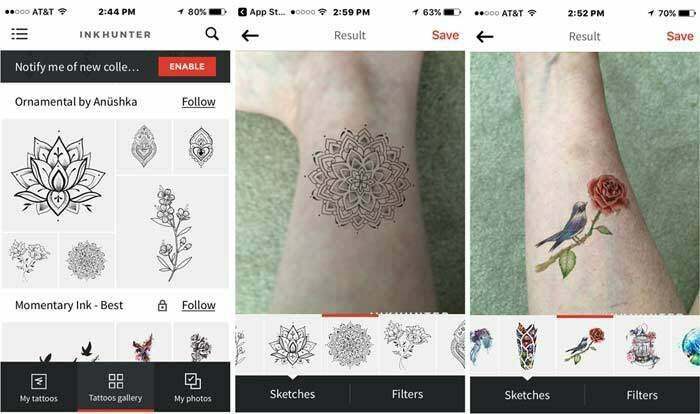 InkHunter (free) uses virtual tattoo designs to let you sample what a tattoo would look like on your skin. Just use a pen to draw a square smiley face on any part of your body to mark the spot and the app reads that marker to place your chosen tattoo pattern. You do have to use a pen to draw on your skin, but come on, you’re considering a tattoo, right? InkHunter offers a gallery of positively stunning professional designs in both monochrome and color, but you can also use the app to try on your own design or search the web for different ones. There’s even a module for pure text tats, with a few fonts to choose from. The Earth is round, so what is underneath our feet, on the other side of the globe? Transparent Earth (free), a 3D AR app, attempts to answer that question with a camera overlay that calculates the position of major localities in direct reverse of your current position. So what you see, in various degrees of opacity, is a reversed landscape, including cities, continents, and oceans. 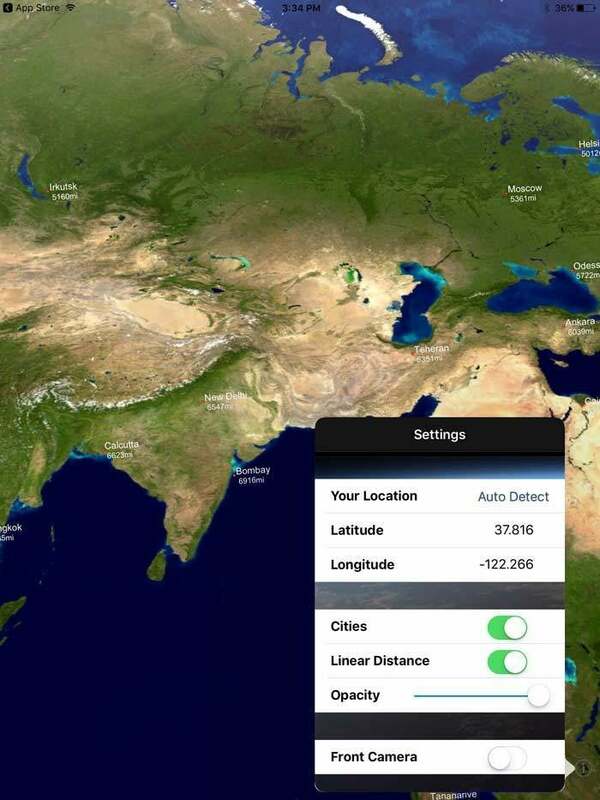 The app lets you position yourself anywhere in the world, regardless of where you actually are. Transparent Earth is for entertainment purposes, and compass accuracy may be affected by nearby metallic objects or other electronic gear. 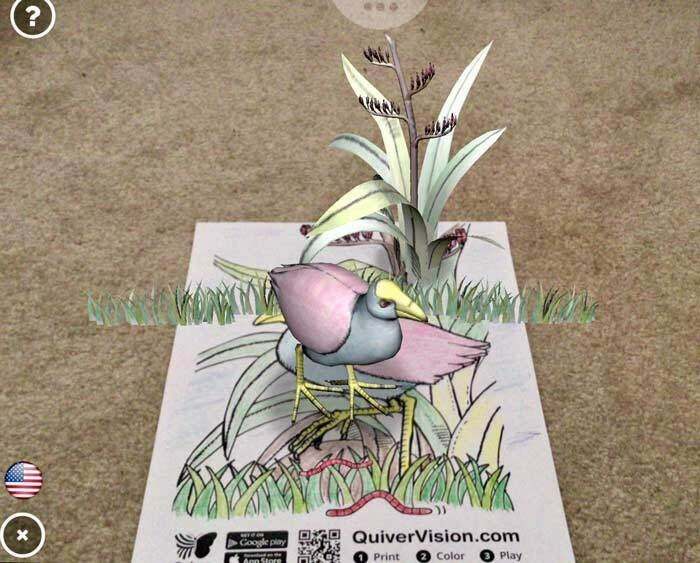 Quiver (free), an altogether charming and absorbing AR coloring app for kids (and adults who never outgrew their crayon obsession), gives you that old fashioned experience of coloring on paper, and then tops it off with a brand new, utterly rewarding interactive experience. It takes a bit of prep, but the results are worth it. First, you print out a coloring page from the website, which contains a token that works with the app. 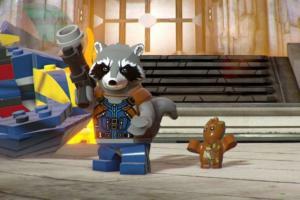 Some sponsored coloring packs are free, while others are available as in-app purchases. 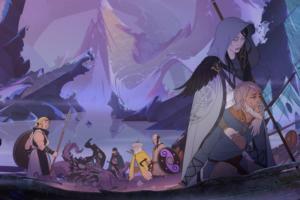 Quiver offers its own free picture pack to get you started. When a fully colored page is ready, you can watch it come to life through the app with an animation that you can view at every angle. 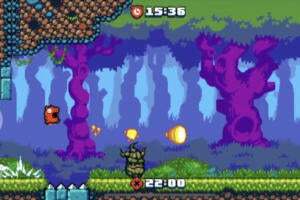 You can even interact with and play games with the characters by touching the screen as well as zoom, play and pause, and capture photos and videos of your creations to share. Sound effects are built into each picture. It’s time to redecorate and you’re not taking any chances. The Amikasa (free) 3D floor planner employs AR to help you place commercially branded furniture in all the rooms of your home—living room, dining room, bedroom, office, bathroom are included. 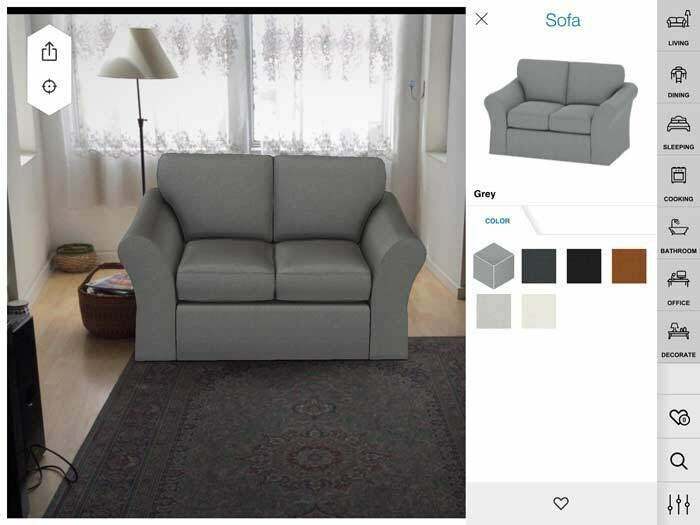 The app lets you choose your new couch or dining set and play around with different upholstery and pillow patterns and then view how your home looks with the new pieces in place. Sellers can add products to Amikasa with direct links to their website. Not only can you design and view your new home, you can share your floor plan with friends and buy your favorite pieces from within the app. 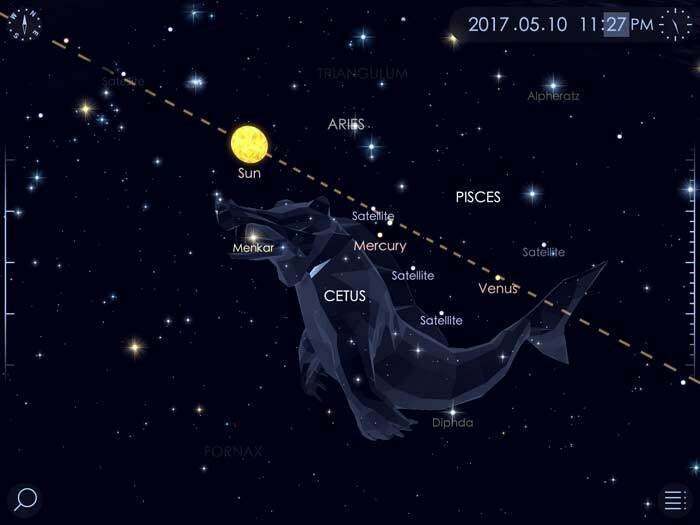 Even if you don’t know much about stars and constellations, Star Walk (free) will lure you into its drop dead gorgeous stargazing guide to the night sky. Whether you’re strolling around your campsite, street, or patio, Star Walk delivers a heavenly view in real time with more than 200,000 celestial bodies and extensive intelligence about them. After launching the app, you can see stars, planets, satellites, and constellations correctly positioned from your location, and you can watch everything refresh and update as you move around. Tapping the AR icon superimposes the sky view on whatever your camera is focused on. Various view modes include Gamma Ray, X-Ray, Night, Visible, Infrared, and Microwave. You can even go backwards and forwards in time. The app also works with Apple Watch. If you like the app, it’s well worth the $3 to remove the intrusive ads. Think of Wikitude (free) as an AR-infused city guide that shows you a multitude of services, restaurants, parks, and areas of interest wherever you are. Just launch the app, and it will calculate your location and present a choice of featured entries: Wikipedia for the sights and TripAdvisor for the local hot spots. Once you choose a search category—say you’re looking for a coffee shop—markers representing those vendors appear on screen. 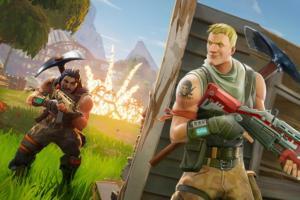 Companies can offer search codes that will guide users to an AR experience. A routing feature can map your route to any place found in the app. You can also use Wikitude as a tool to experience special AR content, ad campaigns, promotions, and games. It’s often enlightening and revealing to get the lowdown about common household items. 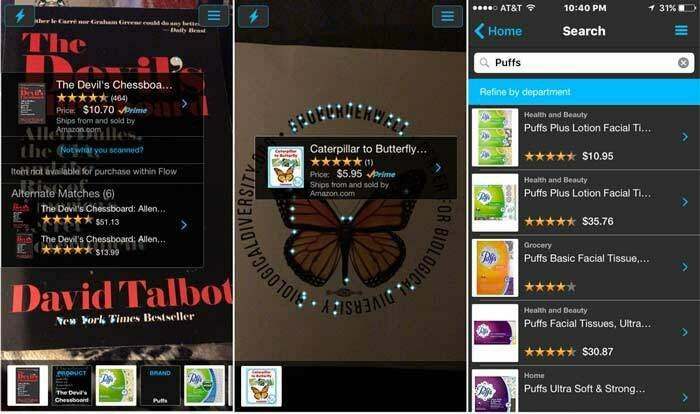 Flow Powered by Amazon (free) is an AR app that lets you spotlight mundane, everyday possessions like tissue boxes, candy bar wrappers, or the book you’re reading to find out more about them. Flow’s continuous scan tech, using barcode and image recognition, identifies millions of products available on Amazon.com. Just hold your phone to the front of the object—or several objects in close proximity—while the interface lights up to scan and record available information and overlay it on your screen. This includes product details, reviews and ratings, sharing via social media or email, as well as purchasing and shipping. Flow’s text recognition lets you use it to scan business cards, UPC bar codes, QR codes, phone numbers, and URLs. You can even call a phone number or add information to your contacts.